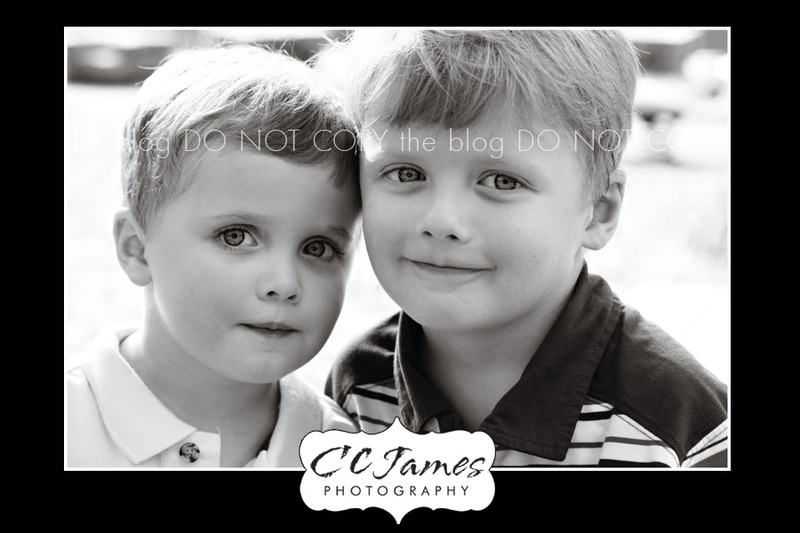 Now that we have a son I’m sure I will learn more about relating to boys – although with these two I didn’t have any trouble at all. My husband said the hardest thing for him to wrap his head around right now is that Jake (our son) won’t have a brother. Jeff is very close in age (13 months) to his own brother and I don’t have any siblings at all – so we will both be learning something new. 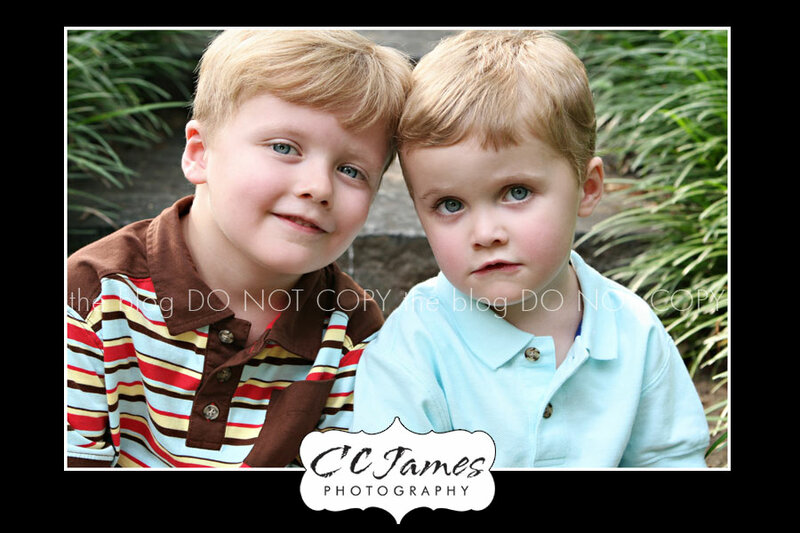 We had so much fun at our session and these two boys were perfect angels! The youngest, Mr. J, was in Kylie’s class at school. His mom and I discovered that they had a “liking” for each other when we went on our pumpkin patch field trip. The oldest, Mr. D, is very into baseball and he can tell you stats, names and all kinds of other stuff – soooo cute! Mom said she really wanted pictures of the kids just being themselves (LOVE THAT). 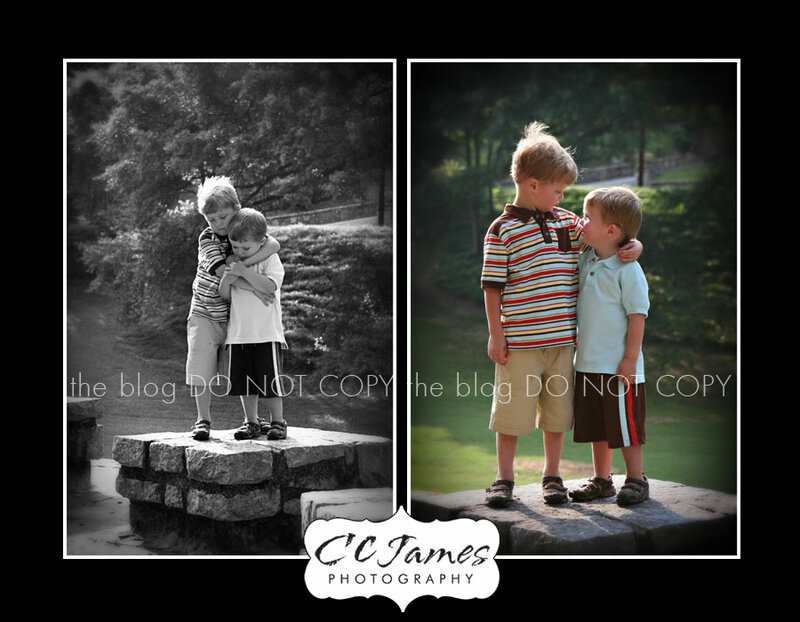 You can see from these images that they have a special relationship and that Mr. J ADORES his big brother. 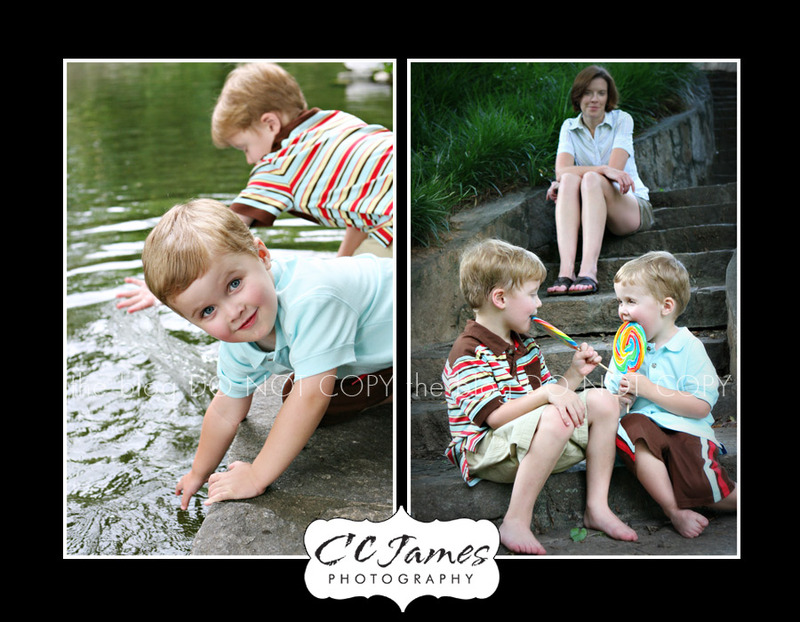 I managed to distract them before the splashing became a total disaster! 🙂 Just look at that grin! Okay – I couldn’t decide which one of these two pictures to post. The eyes on these two – soooo gorgeous! Oh, and by the way – didn’t mom do a great job with the outfits?? Love the colors!